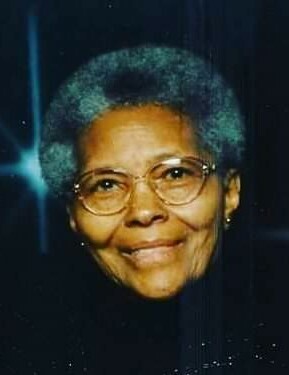 Ms. Ruth McQueen Arnette, 91, of Fairmont transitioned from time to eternal peace on Feb. 6, 2019 at Novant Health Matthews Medical Center in Matthews. She was Born in Dillon, SC on June 9, 1927 on the Worth Burns Farm to William E and Minnie Miles McQueen, Ruth was the 5th of 10 children. She worked alongside her siblings and parents as sharecroppers on the farm. As a child she joined Old Bethel Presbyterian Church in Hamer, SC. She graduated from high school in 1945. Later, Ruth earned a degree in Beauty Culture Arts (Cosmetology). She married the late John William Arnette, and together they worked on the Arnette Farm. She cropped tobacco as well as cooked for all who came to help work on the farm. She was known for her excellent meals, her warm smile and kind spirit. Deaconess Council, the Pastors aid, the Building fund, in charge of Communion services, on the Vocal choir, in the Baptist training union, on the Usher Board, in Sunday School, on the hospitality committee and many others. At home, she loved spending time with her children, grandchildren siblings and their children and grandchildren. Affectionately known as MaRuth, she enjoyed cooking all sorts of dishes and making sweet potato pies. She was a great seamstress, making various outfits for family and friends. She had a passion for quilting and organized many quilting circles with her friends. At the height of the CB radio days in the 1970's, Ruth had a CB radio in her car. Her handle was Brown Sugar. During the peak of MC Hammer fame, she enjoyed making hammer pants for all who enjoyed them. She always offered a smile, a soft heart and a funny comment, blessing all who came in contact with her. Ruth is beloved by her family, church family and friends. Even in her final days, the nurses and staff fell in love with her sweetness, grace and dignified nature and asked what the secret was to her beautiful skin even at the age of 91. She was an example of quiet, steadfast grace and although she will be deeply missed, her legacy lives on. 3 of her 4 children preceded her in death: Reginald Arnette, John W. Arnette, Jr and Beverly Walker. She leaves to cherish her memory: her Daughter, Sarah Perry (Howard) of Latta, SC, Grandchildren raised as daughter and son, Stephanie Arnette-Newson (Frank) of Charlotte, NC and Jacquet Thompson of Atlanta, Ga.,15 grandchildren, one preceded her in death, Johnny Respus;39 great-grandchildren,14 great-great-grandchildren, 2 sons-in-law: Howard Perry of Latta, SC and Joe Walker, Sr of Abington, Pa; 2 daughters-in-law: Carolyn Ferrier of Dillon, SC and Vanessa Arnette of Virginia, Va. 2 sisters: Eva M Lee of Atlanta, Ga and Constance Page of Verona, NJ. One sister-in-law: Retha Arnette of Charlotte, NC. Special friends: Carrie Lee Coleman, Iola Moore, Geraldine Fulmore, Elista Abram. And a host of loving nieces, nephews, cousins and friends.